The economy is an ever changing one. So, research and study on economic standards were developed to intuit these changes. It will provide us the valuable information that includes reasons for the shift, impact of economic changes on small organizations and the trends leading them. At the top-most level, given below are the primary trends that drive changes on small business. Economic, social shifts and demographic as well as the global competition and automation are the primary reasons for the cause of income inequality and job insecurity. It will lead people to pick the option of part-time or full-time self- employment or the entrepreneur of small businesses. The new infrastructure of technology is maximizing the number of new business models and developing it as easier to touch and aid niche markets. It also has a great part on minimizing the capital required for inaugurating and organizing small business. An increasing number of business platforms and marketplaces are the other primary aspects that are enhancing the growth of small businesses. 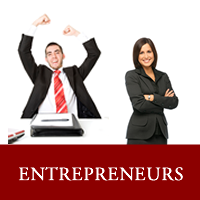 It has made many numbers of people to become part-time and full-time micropreneurs. In these days, consumers are paying special attention to help the local businesses, as well as to purchase the uniquely designed and customized products. This has increased the need for small businesses. Even big organizations are also showing special interest on hiring the independent workers and providing opportunities for small businesses. These drastic shifts to a small trade are affecting everyone at all facets of the economy. It is a great time for both opportunities and anxieties as small businesses are operating with more freedom and less security norms. Next Post: What Is Meant By Native Advertising?